After the academic day, students take part in a wide array of Afternoon Activities. Each afternoon, students spend two hours developing their talents and passions in Afternoon Activities. With offerings in athletics, the arts, technology, mountaineering and equestrian, there is a wide-range of activities to choose from to help students discover and develop their interests. Our students have abundant ways to explore the arts. 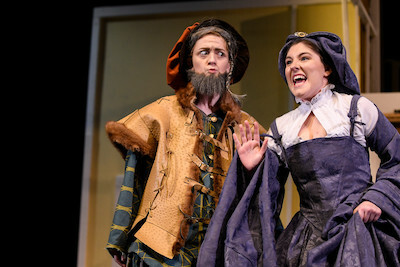 Many perform in our winter and spring drama productions, while others create thought-provoking sculptures, paintings or mixed-media work. Asheville School is also lucky to engage with the city's vibrant arts community. We host working artists on campus and collaborate with arts professionals from the Asheville Art Museum, Black Mountain College Museum + Arts Center and local studios. These experiences allow our students to hone their creative skills and build solid portfolios. Athletics have been a rich part of the Asheville School tradition since the institution’s earliest days. With its first game dating back to 1911, the school’s annual football game with Christ School is the oldest prep sports rivalry in the Carolinas. 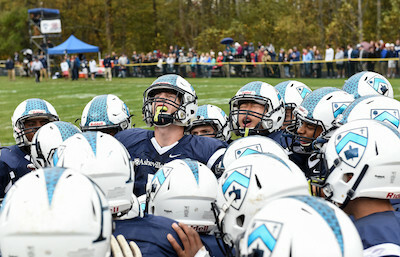 Additionally, the school community gathers together each season to honor our talented student athletes. Today, 19 interscholastic sports teams compete during three separate seasons over the course of the school year. The school’s athletic facilities are considered among the best in the Southeast. All freshmen and sophomores must play on one interscholastic team during the year, and approximately 75 percent of the entire student body chooses to play sports in any given year. The seasoned coaches are committed to providing an activity that suits the skill level and interest of every student. The school is a part of the Carolina Athletic Association (CAA) Conference and a member of the North Carolina Independent School Athletic Association (NCISAA). Asheville School stables, Ireland Riding Ring and picturesque riding trails make Asheville School a great place to ride. 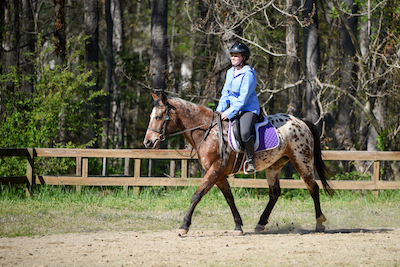 Our Equestrian Program offers lessons for riders, from beginners through advanced levels. An appreciation for the great outdoors has been a part of the Asheville School experience since its founding in 1900. Nearby, there are countless sports for backpacking, rock climbing, whitewater kayaking, snow skiing, caving and mountain biking. 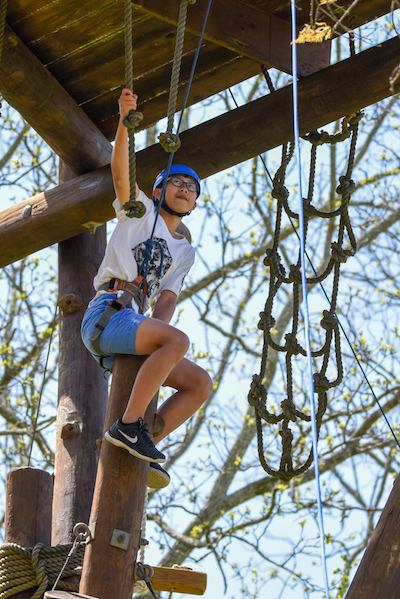 Asheville School's mountaineering program provides the staff, training and equipment you'll need to develop your skills in these activities and foster a lifelong love of outdoor adventure. SongCraft combines song writing with digital studio recording. The goal is for every student to have written and recorded at least one original piece of music by the end of the semester. These songs are complied on a publicly available playlist. All levels of musical capability are welcome, and all styles of music are encouraged. We’ve had classical compositions, rock n’ roll, hip-hop, and everything in between. We measure progress each week with an event called Playoff Friday, where students perform the song that they’re currently working on for the rest of the group. This presentation can be as simple as a few chords or as complex as an entire song. During the winter activity season, Asheville School students can volunteer with Youthful HAND, an Asheville nonprofit run by Elinor Earle open to local elementary school students. Youthful HAND provides tutoring, study skills and afterschool care, and a major aim of the program is to pair elementary school students with steady volunteers to foster long-term, supportive relationships. 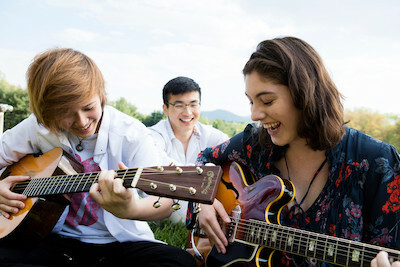 Read about the Asheville School students who started this activity. During the winter and spring seasons, students have a wide spectrum of technology options. In the winter, students in Robotics spend the season building and programming a robot for competition in both state qualifiers and competitions. They work with the Android SDK to develop controls for the robot and compete as part of the FIRST Robotics competition. Past Asheville School teams have competed in state competition as part of the FIRST Tech Challenge (FTC) and the school hosts a FIRST state qualifier meet on its campus each year. In the spring, students explore microprocessors and collaborate with college professors in UNC-Asheville’s STEAM Studio. Students learn Adobe’s Creative Cloud software, app development (Apple’s Swift programming language), and participate in interactive hardware and software labs using Arduino and Raspberry Pi in the Asheville School Innovation Lab, located near the River Arts District of Asheville.